Toyota Gazoo Racing driver Fernando Alonso has completed a two-day evaluation test of the Dakar-winning Toyota Hilux. 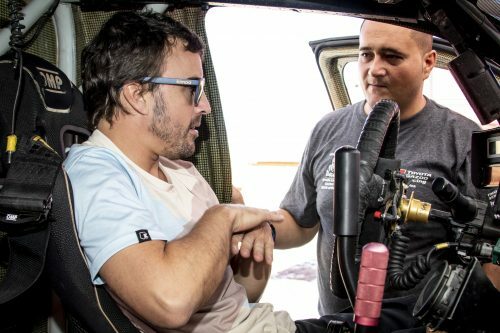 The former Formula 1 World Champion and Indy Car driver Alonso, who currently leads the FIA World Endurance Championship (WEC) drivers’ standings alongside team-mates Sébastien Buemi and Kazuki Nakajima, spent two days learning the specific demands of rally raid during an exclusive test in the Kalahari Desert. Alonso commented: “I followed the Dakar and thanks to Toyota Gazoo Racing I had the opportunity to come to South Africa to test the Dakar-winning Hilux. I have tested different series and different cars these past couple of years and this was a great chance.